Faced with the growing success of our website (thanks! ), we are subjected to a huge demand of Startups wishing to be presented. 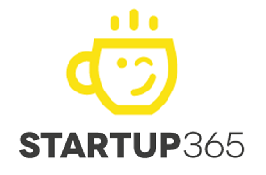 In order for the greater number of startups to have the chance to be featured on Startup365, we created “Support your Startups”. The principle is very simple: the community “Startup 365” votes to elect Startups to be presented on our site. Everyone can vote for its favorite startup! Once a startup reaches 100 votes of support, it will be presented on our site! Which Startup would you like to see presented on our site ? Support your Startups ! Anyone can participate and vote for its favorite startup! 1 vote / day / person will be validated, and everyone can participate (without registration). So feel free to come back regularly to vote and involve all your fans! It is therefore not a contest between these startups: all the startups that will achieve the 100 votes of support will be presented (time limit to vote = 1 month). Startups are added regularly, so they do not started the votes at the same time… As soon as your startup has 100 votes of support, contact us so we can publish a full article presenting your startup ! Support your Startups : 100 votes = presentation on our website ! Offer for Startups Worldwide – 40€ : 1 article presenting your startup (article in english) + 1 week of Ads on the website (present on the right panel, on all website pages) + Bonus Advertising Social networks + Presentation in our Newsletter . Offer for Startups Worldwide (+ French) – 100€ : 1 article presenting your startup (article in english + translated in French) + 1 week of Ads on the website (present on the right panel, on all website pages) + Bonus Advertising Social networks + Presentation in our Newsletter . Offer Central Ads – 100€ : 1 week of central Ads on the website web (present on the Header, on all website pages) + 1 article presenting your startup (article in english) + Bonus Advertising Social networks + Presentation in our Newsletter . Offer 500€ : 1 year publishing your Press Releases (max. 2 / month) + Bonus Advertising Social networks + Presentation in our Newsletter . Bonus Social Networks : your company or your product will be broadcast to our entire community on Social Networks ! Support your Startups ! – Twitter partners : @Startup365World , @Emprendedor_365 , @startups_france , @startupness , @crowdfunding365 , @Business365_fr , @_SocialMedia365 , @Actubourse365 , @SEOnews365 , @Bi4me_business , @2Bentrepreneurs , @Webmarketing365 , @startupjobs365 , @startupnews365 , @startup_du_jour , etc… so … Support your Startups ! 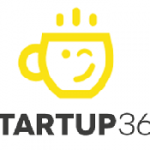 Support your Startups on Startup 365 : Contact Startup 365 . Support your Startups – Startup 365 !